Ninja Theory’s Hellblade: Senua’s Sacrifice is set for release on August 8th 2017 for the PlayStation 4, and PC. You can pre-order today through PlayStation, Steam and GOG.com for $29.99/€29.99/£24.99. Those who do for the PS4 will get an exclusive Hellblade: Senua’s Sacrifice Dynamic Theme that depicts the iconic burning tree scene from the game. Pre-ordering on PC will receive an exclusive digital comic short, Hellblade: Senua’s Song. More about this title in the trailer and press release below. Ninja Theory has announced that Hellblade: Senua’s Sacrifice will be released for PlayStation 4 and PC on August 8th 2017. Players can pre-order the digital-only game from today via PlayStation, Steam and GOG.com for $29.99/€29.99/£24.99. Hellblade: Senua’s Sacrifice comes from the makers of Heavenly Sword, Enslaved: Odyssey to the West, and DmC: Devil May Cry. It is the story of Senua, a traumatised Celtic warrior journeying into the Viking underworld of hel. 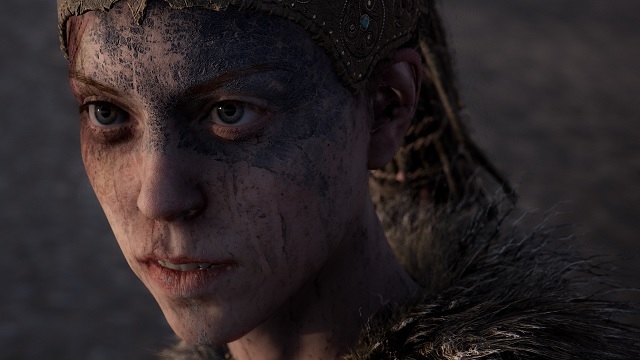 Supported by Wellcome and created in collaboration with neuroscientists and people who experience psychosis, Hellblade: Senua’s Sacrifice will pull players deep into Senua’s mind. Those pre-ordering for PlayStation 4 will receive an exclusive Hellblade: Senua’s Sacrifice Dynamic Theme that depicts the iconic burning tree scene from the game. Those pre-ordering on PC will receive an exclusive digital comic short, Hellblade: Senua’s Song. With words by Hellblade creative director Tameem Antoniades and art from multiple Eisner Award nominee Ben Templesmith, the comic comes from a creative collaboration between Ninja Theory and award-winning comic book publisher Valiant Entertainment.